You've got an Herb for that! One of my biggest struggles is practicing what I know. I know many things. I consume many books. I can tell you all about why ‘Movement Matters’ and how to use it in your daily life. I’ve been a big consumer of self help books on how to get motivated. I love the ‘Trim Healthy Mama’ way of eating, sooo not a diet. And oh the herbs I know and grow. Then comes daily life, children, house work, work, family and you know the rest. Building habits is important to remembering to use what you know. That’s why I set upon a challenge last month and it was awesome, so awesome I’m doing it again to solidify my habits and I would love for you to join me. There are prizes involved! But sometimes you need more! All of this is beside the point when it comes to remembering to use your herbs in a hurry. You can’t build a habit to use an herb for a cut or a burn in the same way you would build a habit for using an infusion daily. Herbs are important for prevention. That is why we use daily infusions, hot teas and seasoning on our food among other things. But they are also amazing for soothing and healing. To remember to grab an herb in a hurry you need a few tricks up your sleeve. When I injure myself I tend to tough it out but when my kids are hurt they don’t so easily walk it off. And they are still young and love to do what I do. This presents two opportunities for learning. Teaching them to identify and harvest herbs is so much fun. So is teaching them how what the herbs can do. Kids remember things like this. Teaching them young makes it a habit for them. At daycare a while back my son fell and hurt himself and my youngest niece quickly grabbed some plantain to help fix him right up. She even knew how to crush it up and put it on the boo boo. I was once the same way until nearly everywhere you turn in my house you’ll see some sort of reminder. 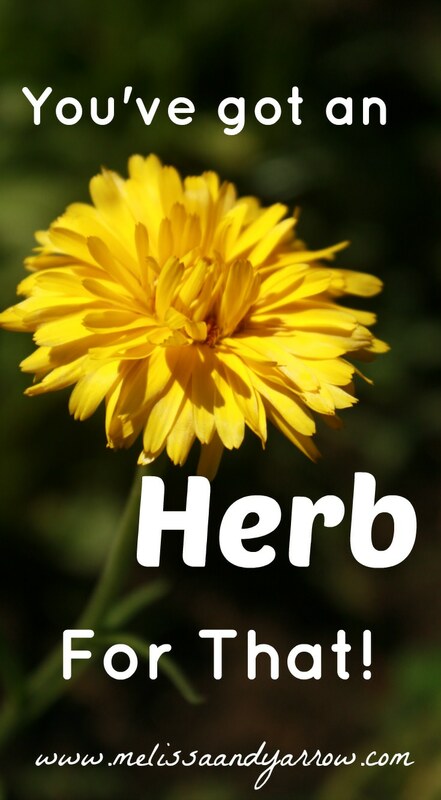 By introducing your children to the herbs as you learn about them you’ll have your own walking, talking reminder. You will also be passing on this beautiful practice to the next generation. Are you ready to make using herbs your natural routine? Join the Melissa and Yarrow Membership today! Herbalism is my favorite thing to explore and my house is filled with containers of dried herbs, tinctures and salves, while my yard blooms with a beautiful herb garden. You don’t have to take it this far to remember to use herbs, a simple reminder on the fridge can do it. That’s why I’ve created a pretty printable for you to download as a reminder. You’ll also find more downloads in the Melissa and Yarrow Membership that you can print off and download to hang as reminders. So go check it out. I have lots of reminders on my fridge, cheat sheets for measurements, encouraging words and more and they always seem to pop out at me just when I need them. This has been a big help for me. You can also place sticky notes here and there with reminders of what you have on hand until you get the hang of grabbing your herbs. Put your remedies where you’ll need them most. If you have a first aid kit that you grab, make sure it has your basic remedies in it. Keep some Yarrow tincture near your thermometer and some burn salve or honey behind the sink so as you’re running water over a burn you can grab it. Whatever remedy or dried herb you have on hand place it where you’ll need it. Don’t just set them back on a shelf to be easily forgotten. This goes for spices too. Keeping things visible lets you know what you have and will remind you to use it! I hope these tips have helped you to remember you have an herb for that. Don’t forget to grab your printable and check out the Melissa and Yarrow Membership. Don’t forget to check out the Melissa and Yarrow Membership today! Herbs In Practice Making herbs habit not hobby.